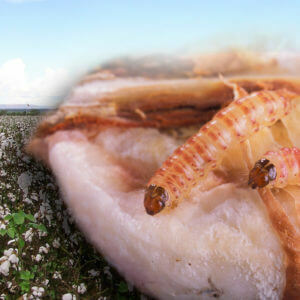 Is pink bollworm pest developing resistance to GMO Bt corn in India? 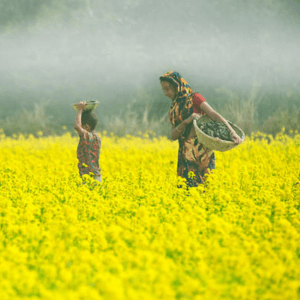 Golden Rice in India: Is it necessary? What are impediments to adoption? There is a saying in Chinese used to wish others well that means, “may you never live in interesting times.” In a complex world full of conflict, disease, and death, the idea of living in a simpler world without the plagues of the present must seem comforting to most. Sadly, this is not the world we live in, no matter how much one may wish it into reality. For those living in rural India, life can be a constant struggle. According to data collected at the Institute for Health Metrics and Evaluation, the leading cause of life-altering disability in India are health risks linked to poor diets. Nutritional deficiencies are especially common in Indian children. This is both unacceptable and preventable. For much of the population in India, rice is the primary dietary staple as it is cheap and marginally nutritious. It is, however, without a sufficient level of β-carotene, a precursor to vitamin A. With a lack of variety in many Indian diets, deficiencies often occur. Large consumptions of rice without supplemental nutritional diversity can ostensibly lead to vitamin A deficiency. Vitamin A deficiency, or VAD, can cause respiratory, GI, and urinary infections, as well as blindness and a significantly impaired immune system that can lead to a number of other corresponding ailments. Symptoms of vitamin A deficiency are most severe in children. Recent studies, such as those published by WHO, have pinpointed a number of causes for VAD ranging from substandard education, poor sanitary practices, the absence of strict laws pertaining to food production, and a lack of effective monitoring and surveillance systems. In many instances, people continue to suffer due to the structural instability of the governments in developing nations, as India. However, the root of this issue still remains with the lack of dietary variety. Continual developments in plant genetics have yielded a strong candidate for a solution to these incessant, yet preventable woes. 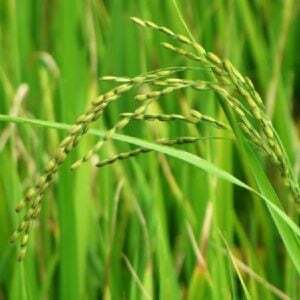 Golden rice is a type of transgenic Asian rice created for humanitarian purposes. Its creation has received praise by a preponderance of the scientific community, as this species of rice contains sufficient levels of β-carotene within its edible portion. Dispersing golden rice seeds to Indian farmers has the potential to curb the increasing rate of VAD within a generation. Rice consumed in India would no longer be susceptible to the same failure as Vitamin A supplements, which did not succeed for a number of reasons including poor government oversight and the increasingly likely connections between vitamin A supplementation and certain cancers. 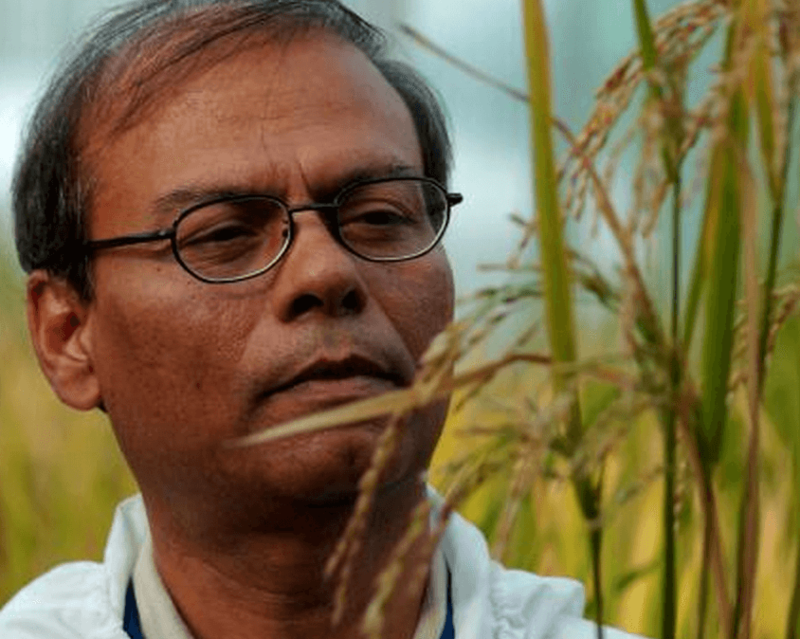 If golden rice, or vitamin-A fortified rice, were grown throughout India, there would be no need to implement or administer an additional program as agricultural systems are already firmly in place. Lifelong disability caused by the inability to diversify diets would begin to make progress in the other direction, as vitamin A intake in this manner would not lead to the same potentially detrimental conclusions as direct vitamin A supplementation. India is home to over 1 billion people, second only in population to China with a dizzying number of ethnic groups, each with their own traditions, languages, and dialects. The primary languages spoken are Hindi and English and the vast majority of Indians tend to practice Hindu or Buddhism, although there are a plethora of variants practiced. With more than 50 cities with populations over a million, India is urbanizing and fast. However, the vast majority of citizens are still located in rural areas, with little to no government assistance. Within its borders, India contains the largest number of rural poor and those without homes in rural areas in the world. The rural poor in India are, in some ways, dually marginalized by not only their low financial status, but additionally by their low social rung in the caste system that, though not officially, still dictates social life in India. Though there are certainly many impoverished citizens in urban areas, the rural poor are often too far spread out for adequate government assistance and observation. The continued existence of the caste system only seems to solidify their station. According to information gathered by the Institute for Health Metrics and Evaluation, India’s leading causes of death in recent years have been respiratory infections and diarrheal diseases. The continued struggle against the rise of diarrheal diseases throughout India, chiefly within urban slums and rural villages, an increasing resistance to antibiotics has been noted. Similarly, acute respiratory infections, or ARIs, are running rampant throughout the Indian landscape with its effects most lethal in children under the age of 5. The Indian government, at its current state, has a very limited ability to affect change through policy implementation, as these issues would require increasingly complex methods of observation, reporting, and analyzing. Not only does India lack the public funding for massive vaccination and antibiotic programs, but growing economic losses may occur due to the increased strain on its health care system due to frequent hospitalizations. India spends approximately 1.5% of its GDP on public health, which is well below the global average of 5% spending. This is an issue often addressed by critics and India is in the process of drafting a new national health policy expected to be released later in 2015, aiming to more adequately address the poor health of a rapidly industrializing nation. Lately, India has taken the path of a number of 5-year plans that seem to be slowly handing the responsibility of public health care over to private companies. This could be a troubling transformation as those suffering most are nearly penniless, which could only make worse the health woes of the nation. Over 40% of India’s children are underweight due to malnutrition making health reform completely necessary. Food struggle is not news for India, who has dealt with a number of deadly famines throughout the decades. The last major famine in India occurred in 1943 and is known as the Bengal Famine. During this disastrous period, over one and a half million Indians lost their lives. As India was under British rule at this period, many blame their careless handling of public health systems with a preference instead on civil defense. In her report at the tail end of the famine, Sydney Bailey remarks that “food shortage is not unknown in India” but the total mismanagement of the food supply and the subsequent relief efforts by the British were completely bungled. Though the fault was not entirely on the British. Grain producers, during this year, knew that another food shortage was likely and opted to raise the prices of their product with a flagrant disregard of the nationally regulated limits of maximum prices and chose to profit while many, many others starved. Once rations and other forms of relief began to surface across India, still efforts were hampered by poor transportation methods and lackluster infrastructure. As has been previously discussed, vitamin A deficiency most often affects the poorer populations around the world, and India is no different. In fact, India has the highest prevalence of VAD in all of South East Asia, the region where this problem is the most pressing. One third of the global mortality rate is owed to malnutrition such as VAD throughout India and its neighboring Bangladesh. The best sources of vitamin A exist in foods like dairy, eggs, and animal tissues. 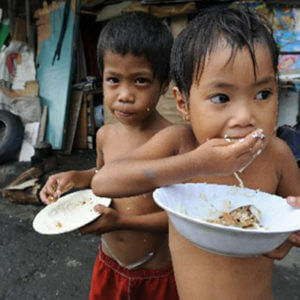 Food like this is often the most expensive and therefore the hardest to obtain among the poorest populations in developing countries and thus deficiencies are created. The necessity of normalized vitamin A levels allows for the bodily maintenance of healthy vision, tissue regeneration, and infection resistance. Malnutrition caused by VAD is long lasting and exponentially lethal and this can create economic distress both from the public health standpoint and by simply decreasing the number of healthy workers. Prolonged VAD leads to a number of physiological issues including the breakdown of “tissue development, metabolism, and resistance to infections,” as is noted in Akhtar et al.’s recent study on the matter. The most common symptom of VAD is night blindness, or xerophthalmia. Children and expecting mothers, in rural areas especially, are increasingly affected with xerophthalmia. Among rural expecting women in India, some 13.7% suffer from this symptom caused by VAD. Accordingly, lower levels of vitamin A will also be present in the breast milk of these expecting mothers allowing the cycle continued by passing it down to their offspring. Among children afflicted with xerophthalmia across the globe, 85% of them reside in India. In recent years, the Indian government has offered vitamin A supplementation to mostly urban centers but, of course, the reach to rural areas was minimal at best. Vitamin A intake through supplementation has also gained a growing number of critics. Studies published in the New England Journal of Medicine, the Cochrane Database and the Annals of Internal Medicine have all found that the supplementation of vitamin A and β-carotene could lead to a significant increase in the risk of lung cancer, intestinal cancer and heart failure. It should be pointed out, however, that the volunteers in these studies were not malnourished or significantly deficient in vitamin A, but the shadow of doubt remains. The most effective solution with the lowest probability of failure is the implementation of Golden Rice into the rice fields of rural India. This rice, enhanced with carotenoids, will vastly improve those suffering from VAD throughout India. As rice is the staple food that provides the majority of calories to these people, it is the best solution to curb the problem. Golden Rice is also equipped with additional amounts of iron and zinc to further battle hunger in the developing world. Indica rice cultivars, specifically IR64 and BR29, were used as a base in completing modification of this enhanced rice, as it is the most common form grown and consumed globally, India included. Currently, the technology to create this type of enhanced rice through conventional plant breeding does not exist as the desired genes for this scenario are not to be found in the known rice gene pool. With this in mind, Golden Rice, created with a transgenic approach, is the most ideal. In this method, genes are incorporated into the rice originating from other sources, which is then expressed in new rice seeds. The expression of β-carotene in a number of different rice cultivars had varying results, with some expressing more than others. For example, IR64 was found to have less β-carotene expression than that of BR29. Differences in expression can have any number of explanations including the unique backgrounds of the selected plant varieties, or simply because of the specific section of an event of the rice’s transgenic lines. In terms of plant genetics, the desired additional trait is entirely dependent on the phenotype. Most phenotypes such as height or yield are quantitative traits. This means that hundreds, perhaps even thousands of genes, to a very small effect, control these phenotypes. By contrast, simple traits, or pathways, are controlled by a relatively small number of genes to a large effect. This means that, thankfully, it’s essentially impossible to find a transgene that would significantly affect crop yield, which is good news when considering Golden Rice implementation in the developing world. The carotenoid pathway is quite simple, which further speaks to the ease with which Golden Rice can be created. In most instances, it would be ideal to use standard plant breeding methods, but in the case of desired phenotypes with simple pathways like that of carotenoids, the transgenic method of Golden Rice is far more logical. Golden Rice is currently in the process of being field evaluated in both Louisiana, in the United States, as well as further tests in the Philippines, Bangladesh, and Indonesia. According to results collected by the International Rice Research Institute, data in the Philippines has, at this point, been the most extensive, however data is often skewed due to vandalism by rebel groups with frequent unrest occurring in the countryside. With the first round of field tests being completed in the Philippines from 2012-2013, the results were hopeful, but there was still work to be done. The desired level of β-carotene was attained during this run, though the crop yields were lower than expected as they did not perform as well as rice grown by other nearby farmers, though some of the blame falls on the vandalism caused by militants. As of 2014, data suggests that specific cultivars have been selected for further field tests due to superior performance in past testing. The cultivars, GR-R and GR-E, are now in the stages of being rigorously tested for their abilities to resist pests and yield in numbers comparable or superior to rice species grown currently in developing nations. The Bill and Melinda Gates Foundation has had a vested interest in GM crops for some time now. As of late, their focus has been in the cultivation of “climate-ready maize” for use in sub-Saharan Africa. “Climate-ready” refers to the drought-resistance qualities of the maize being studied and perfected by researchers for climates with very little annual rainfall. After rigorous testing, with $33 million in funding assistance by the Gates Foundation, over 30 varieties of the climate-ready maize has been distributed to millions of smallholder farmers in sub-Saharan Africa. Similar to that of rice in Southeast Asia, maize is a staple food in sub-Saharan Africa as a means for dietary and financial subsistence. After a number of droughts led to further starvation and poverty in the region, the Gates Foundation saw an opportunity to help. Developed by the International Maize and Wheat Improvement Center, this drought-tolerant corn also found success through higher yields, which is a hugely beneficial factor for subsistence agriculture. According to papers published by the Gates Foundation, these new corn varieties are “expected to boost maize yields by as much as 30% for up to 40 million African farmers…by 2016”. These are astounding numbers in such a short span of time. GM crops used for humanitarian purposes have the potential to rapidly and effectively reduce hunger within the 21st century. However, the pathway to mass seed distribution is not as simple. It is no secret that the use of genetically modified organisms is an extremely contentious issue globally. There is a widely held perception that the risk of GMOs outweighs the benefits, which is especially present in mass media. This stigma is growing in the West and has allowed for the rise of anti-GMO speakers. A speaker and activist from India famous for her work against GMOs, is Vandana Shiva. Ms. Shiva has time and again expressed her disdain for Golden Rice, asserting that a focus on only one type of food is a fool’s errand. Her proposed solution, however, is inherently unworkable. Shiva has presented her idea to simply diversify the diets of those in the developing world, which of course would be ideal but people of the poorest strata in the developing world can most certainly not afford the fruits, vegetables, meat, and dairy required on a daily basis. Shiva’s rhetoric is not only deceptive, but her self-described biography is dually murky. In various speeches she has represented herself, at times, as a scientist, nuclear physicist, or a quantum physicist, when in fact she holds a Ph.D. in philosophy. None of these qualifications have the slightest ounce to do with plant genetics. Her current buzzwords are “seed freedom” and “food democracy”, clearly playing on people’s ideals for liberty. The obvious implication is that those who do not support her views do not support “freedom” or “democracy”. Shiva has created an organization called Navdanya apparently dedicated to promote “nonviolent farming”, referencing the 1984 violence in Punjab. The events in Punjab were complex and not necessarily to do with agricultural practices. Much of the violence took place between the police and armed militants. These militants formed in the rural region of Punjab for a number of reasons, one of them being the economic effects of the Green Revolution in the 1960s and 1970s, among others. The Green Revolution was a response to continual food shortages and famines in India, responding with technological advancements in agricultural infrastructure as well as the development and implementation of high-yield crops, which effectively staved off further food shortages and transformed India into a food-surplus nation for a time. A downside to this so-called revolution was increased unemployment due to the mechanization of agricultural practices. Ostensibly, those out of work should have been able to find work elsewhere, as India was quickly industrializing, though it was more difficult for residents of Punjab to accomplish this due to worry from the Indian government of the dangers of setting up any important industrial sites in a state bordering Pakistan, the two of whom have historically shared a contentious relationship. Shiva’s reference to the events of Punjab may share some roots in the agricultural revolution of the 20th century, but her fear of GMOs in India is without merit. Her organization, Navdanya, also touts its accomplishment of setting up organic farms spread over lands in India in an attempt to “fight globalization.” The hypocrisy of creating a global organization to fight other global organizations is astounding. In a joint study carried out by researchers at McGill University and the University of Minnesota, organic crops yield 25% less than conventional crops. In a nation with significant suffering due to food shortages and malnutrition, organic farming is certainly not the answer. With this in mind, it is pertinent for governments across the globe to become more accepting of genetically modified crops in order to assist humanitarian causes that are so desperately needed. Shiva’s views mirror those of many others in the Western world and this perception matters when it comes down to the deliberation of government policy of GM crops. Genetically modified crops are regulated on a nation-to-nation basis. In India, GM crops are very stringently assessed on a case-to-case basis. In the case of Golden Rice, there is some concern that a low-level presence of its traits could present themselves in rice grown and shipped to nations that receive their rice through imports, as it is not grown natively. Places like Western Europe, for example, import their rice. The understandable concern is that, as Europeans are not vitamin A deficient, if they were to accidentally consume rice with low-level similarities to Golden Rice, it could be detrimental to their health. For this reason, certain precautions must be agreed upon and enforced in order to prevent this. Luckily for India, most of the rice that it grows is consumed within a close proximity, largely alleviating this global concern. Current regulations that must be followed by signatories of the Cartagena Protocol, with regard to GM crops, lead to increased costs and delays. For example, under the protocol, GM crops must first be grown in glass houses, then screen houses, then finally open fields for further study before being allowed to grow openly in these nations. This may sound like a good idea, but keep in mind the years of field studies already taking place across the world. These additional tests are redundant and unnecessary, especially when malnutrition continues to kill more Indian women and children every year. As of 23 January 2001, India has been a participating party in the Cartagena Protocol. This unnecessary red tape will only waste time for an issue so desperately in need of a solution. Many dissenters of GM crops highlight the “corporate-ness” of the business. It is true that the developers of Golden Rice, Ingo Potrykus and Peter Beyer, licensed the technology they created to Syngenta for its use commercially. To some, this may seem inherently distressing as it could potentially lead to unfair treatment to struggling farmers in developing areas for the profit of the company. Fortunately, for Golden Rice, this is absolutely not the case. The professors licensed their technology with the understanding that their seed traits would be distributed to small and local farmers in developing nations for no cost at all. No person or company will benefit financially from the adoption of Golden Rice to those nations who need it most. The funding required for this project will not be for the physical adoption of Golden Rice in India, but for the education of those in power. It is necessary that they see that the benefits do indeed outweigh any risks. Though Golden Rice does not require funding for its global distribution, it could certainly benefit from an education campaign to better inform the public of its safety and benefits. The global resistance against GMO use is immense. Consequently, there is a dire need for global education on the topic as much of the dissent is based on fear mongering or misunderstandings of the issue. There are certainly a small, but growing, number of advocacy groups aiming to create a better-informed public yet their effect is nominal. People in various fields like Pamela Ronald and Kevin Folta; professors of plant genetics at UC Davis and UF-Gainesville, Kavin Senapathy, a freelance writer, and Mark Lynas, an environmental activist are all outspoken advocates for GMOs who are dedicated to making a meaningful difference in public opinion. There are also a small number of organizations such as the Genetic Literacy Project, Biofortified, and AgBioWorld as well as Facebook groups like GMOLOL, SciBabes, and We Love GMOs and Vaccines. They are all working hard to reaching a common goal but more must be done in order to sway both the public and their governments. Though the issue certainly extends far outside of India’s borders, it is prudent to stay fast to the goal of implementing Golden Rice into its impoverished communities. Therefore this is where the need for funding resides. With a series of educational conferences and subsequent campaigns, the probability of Golden Rice seed distribution increase will largely increase. The first step is to hold a seminar with a panel of plant geneticists and other GM advocates to an audience of invited government officials. The format will be brief presentations by panel members followed by an open conversation between officials and the panel. Members of the Council of the State, the House of the people, as well as India’s executive branch will be welcomed to this event with any additional seating open to the public depending on venue selection. This will serve as a way to both educate and to quell concerns in an open and respectful forum between the Indian government and those most knowledgeable in the science behind genetically modified crops. A contingency plan will also be put into play depending on the outcome of the seminar. If the outcome is positive, it would be prudent for the Gates Foundation to partner with the Indian government to implement a large-scale GM education program, much like South Africa’s partnership with loveLife for youth HIV prevention. Similarly, the Indian government would ideally agree to share the budgetary cost with the Gates Foundation with a growing contribution with a reevaluation of the program’s effectiveness every three years. If the outcome is not positive, then it would be beneficial to host the seminar annually as well as implement street teams in urban areas with higher voter turnout in order to hand out pamphlets and speak to people in the streets in an attempt to sway public opinion. Golden Rice, with the implementation of the government education seminar and the following public awareness campaign, will become available in the near future after years of rigorous testing. It is in the interest of every malnourished man, woman, and child in the rural states of India to adopt this trait characteristic and introduce this into their dietary practices. For the mothers losing their sight, for the children losing their lives, this could save their world. Ryan Lenz is a student at the University of Wisconsin pursuing a degree in International Studies. This analysis was originally prepared for a Global Health seminar course. Akhtar, Saeed. Anwaar, Ahmed. Randhawa, Muhammad Atif. Sunethra, Atukorala. Ismail, Tariq. Zulfigar, Ali. “Prevalance of Vitamin A Deficiency in South Asia: Causes, Outcomes and Possible Remedies.” Journal of Health, Population and Nutrition 31, no. 4 (December, 2013): 413-423, PubMed, (accessed 12 March 2015). Arnquist, Sarah and Weintraub, Rebbeca. “loveLife: Preventing HIV Among South African Youth.” Cases in Global Health Delivery, (April, 2011): (accessed 14 May 2015). Bailey, Sydney D. “Post-Mortem on the Bengal Famine.” Far Eastern Survey 14, no. 25 (December, 1945): 373-374, JSTOR (accessed 15 April 2015). Bill and Melinda Gates Foundation. “Profiles of Progress: Drought-Tolerant Maize.” Global Development Program. (October, 2010): (accessed 14 May 2015). Bill and Melinda Gates Foundtaion. “Climate-ready Maize Gets a Boost: Phase III of the Drought Tolerant Maize in Africa Project to Reach More Farmers.” Press Room. (February, 2012): (accessed 14 May 2015). Choudary, Bhagirath. Gheysen, Godelieve. Buysse, Jeroen. Van der Meer, Piet. Burssens, Sylvia. “Regulatory options for genetically modified crops in India.” Plant Biotechnology Journal 12 (2014): 135-146, PubMed (accessed 15 April 2015). Datta, Swapan K. et al. “Golden rice: introgression, breeding, and field evaluation.” Euphytica, (March, 2007): 271-278, EBSCOhost, (accessed 16 April 2015). Dubock, Adrian. “The politics of Golden Rice.” GM Crops and Food 5, no. 3 (July, 2014): 210-222, PubMed (accessed 11 March 2015). Genetic Literacy Project. “About Us: Mission.” (accessed 14 May 2015). Institute for Health Metrics and Evalution. “Global Burden of Disease Profile: India.” (accessed 27 April 2015). International Rice Research Institute. “What is the status of the Golden Rice project coordinated by IRRI?” (accessed 17 April 2015). International Rice Research Institute. “Two Seasons of Golden Rice trials in the Philippines concluded.” (accessed 17 April 2015). Latifah, Amin. Azlan, Noor Ayuni Ahmad. Ahmad, Jamil. Ibrahim, Rozita. “Public Perception of the Ethical Aspects of Golden Rice in Malaysia.” International Journal of Science in Society 2, no. 3: 15-34, EBSCOhost, (accessed 16 April 2015). Mahapatra, Tanmay et al. “Predictors of Rational Management of Diarrhea in an Endemic Setting: Observation from India.” PLoS ONE 10, no. 4 (2015), (accessed 17 April 2015). Moghissi, AA. Pei, S. Liu, Y. “Golden rice: scientific, regulatory, and public information processes of a genetically modified organism.” Critical Review of Biotechnology (Jan, 2015): 1-7, PubMed, (accessed 11 March 2015). Peasah, Samuel K et al. “The cost of acute respiratory infections in Northern India: a multi-site study.” BMC Public Health 15, (2015): 330, PubMed (accessed 15 April 2015). Rah, JH. Houston, R. Mohapatra, BD. Kumar, SS. Saiyed, F. Bhattacharjee, S. “A review of the vitamin A supplementation in India: reasons for success in the states of Bihar and Odisha.” Food and Nutrition Bulletin 35, no. 2, (June, 2014): 203-210, PubMed (accessed 11 March 2015). Seufert, Verena. Ramankutty, Navin. Foley, Jonathon A. “Comparing the yields of organic and conventional agriculture.” Nature 485, (May, 2012): 229-232, (accessed 15 April 2015). Shiva, Vandana. “About Us: Introduction to Navdanya.” Navdanya Organization. (accessed 15 April 2015). Stone, Glenn Davis. “Both Sides Now: Fallacies in the Genetic-Modification Wars, Implications for Developing Countries, and Anthropological Perspectives.” Current Anthropology 43, no. 4 (August/October, 2002): 611-630, JSTOR, (accessed 11 March 2015). World Health Organization. “Micronutrient Deficiencies: Vitamin A Deficiency.” (accessed 12 March 2015).